TIRANA – On 1 April 2009, Albania becomes a full member NATO country. The 2019 coincides with the 10th Anniversary of country’s membership in the Alliance. In addition, Albania celebrated ten years in NATO on 28 – 29 March. 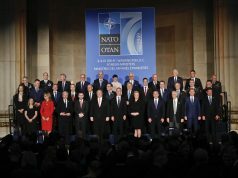 The activities of 28 – 29 March were anticipated to be amongst the most important public impact events and coincided with the launch of NATO Year. 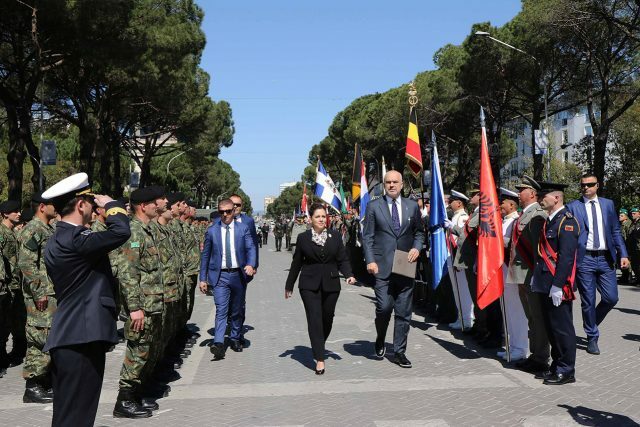 Panel discussion on “Albania 10 Years in NATO – Security for the region” was organized, followed by Troops Alignment Parade in “Nënë Tereza” Square and “Dëshmorët e Kombit” Boulevard. More than 150 participants attended this event: Defence Ministers, ChoDs, NATO Member Countries and Commands high rank military, Ambassadors and Defence Attachés accredited in this country. The Albanian Prime Minister, Edi Rama, said that NATO is preparing to build Balkan’s biggest military base in Kucova, Albania. “It will be one of the most modern bases of NATO in the region. 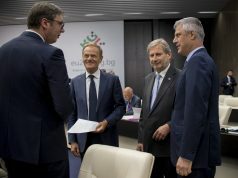 It is one of the best symbolic of this anniversary, because the base is conceived as one of the reference points of our strategic alliances, and will turn into a base for giving NATO a revival”, pointed out Rama, adding that after more than 100 years, Balkan is finally enjoying a period of peace, thanks to NATO. Defence Minister Olta Xhaçka said that it is really a beautiful day to celebrate, but above all it’s a day when they all have the right to feel proud! “Today, we have the right to feel proud of the great work that has been done to deserve our place as a member of the largest military alliance in history. But we have the right to feel equally proud of the work we have done all together in these 10 years to justify the trust we have been given to us to modernize our Armed Forces and to become a factor of stability and a benchmark for security in the region. 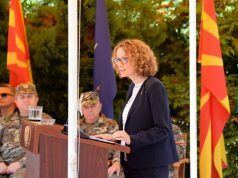 Owing to this work, Albania is not merely a NATO Member, but a trusted partner, as former US Secretary of Defence James Mattis declared “punches above its weight”, said Xhaçka. In the 2019 almost all Regional Initiatives will be chaired by Albania: U.S. – Adriatic Charter (A-5); South-East Europe Defense Ministerial (SEDM); Regional Arms Control Verification and Implementation Assistance Center (RACVIAC).